Making matching dishwasher plates for my custom plates found in hacked objects. This is for advanced users of SimPE, if you don't understand these instructions without a lot of help, you probably should not be messing around editing your game files. Not helping you do so is not my normal style so I apologize for seeming out of character, but this is just not one of the beginner hacks that anyone should be attempting. If you do understand these directions, you're obviously advanced enough using your SimPE and so that's no problem. Start by making a backup copy of your Objects06 and 07 packages from folder: C:\Program Files\EA GAMES\The Sims 2\TSData\Res\Sims3D\ and put them in a safe place. Note that if you have University, this file location does NOT change. 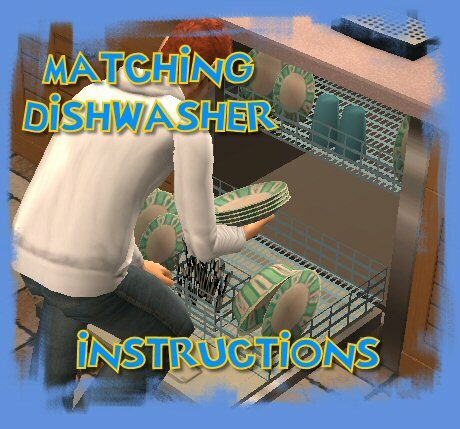 Then open your Objects07.package in SimPE and click Name Map in FileTypes and then click the Plugin TAB and then type "dish" into Finder box and that will take you to the LIFOs for the default dishwasher. Copy down the instance numbers (0xFFEAF7E3 & 0xFFDC1CDE) and then click on Large Image File in FileTypes and paste instances into top right filter box to get the textures and extract them. Copy paste your desired custom plate design onto the plate space on the texture and import it back into the Objects07.package and save it. Now your dishwasher will match your custom plates close up. To do further away matching (zoomed out a bit), you'll have to go into your Objects06.package and use instance filter 0xFF6C3685 and import a 128 size texture and update all sizes and save that. 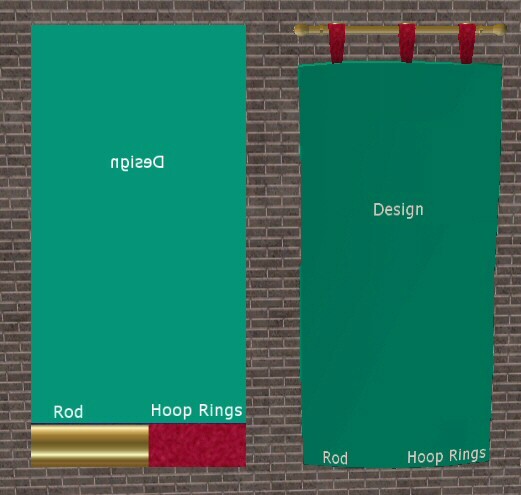 To remind you which plate of mine you have (and allow you to set them out yourself and get your sim to "clean up" so you can watch your plates in action, hehe) you can get them in Decorative/Misc in buy mode for free. If you install my plate designs A, B, C and D only D will show up. If you install A, B and C, only C will show up... get the idea? It will only show ONE default plate override at any one time, so only have one in your game folders at a time. Keep your other choices zipped up out of the way somewhere safe. To do your own plate designs, just CLONE the plate in Object Workshop "Others" category and follow up with a matching default dishwasher texture change in your program files object files. This may have to be updated with new instance numbers every time a new expansion comes out to work, so I don't guarantee it will work for you unless you know how to look up the new numbers as needed. If you found that helpful, please give me a vote and thanks! Full Photo Studio tutorial is HERE. 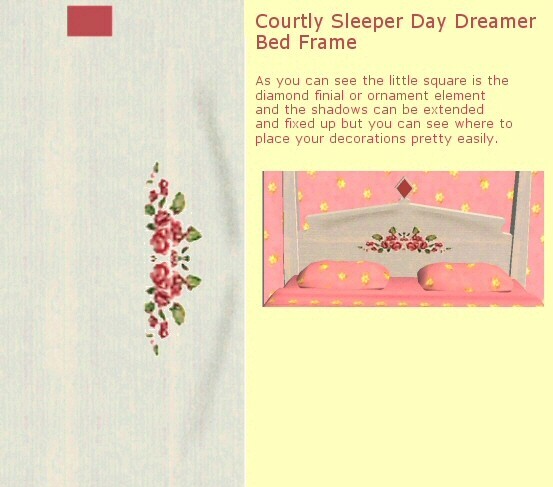 The making of a quality wallpaper always includes shadows! If you want to use these templates to make wallpapers that you offer on a website, credit or a link back to me is appreciated, but it is not required. 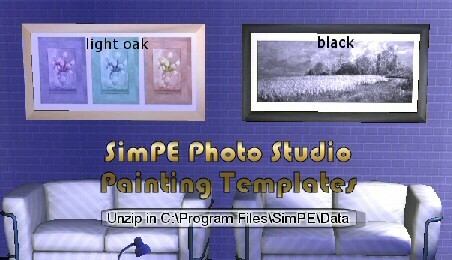 If you need these templates in PSP7 format, just ask me via the contact link in the menu above. 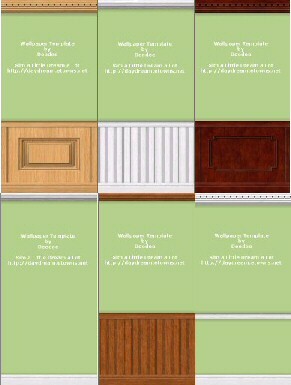 If you find these templates helpful please give me a vote as these votes start over from zero every day! Do you have favorite houses you've built or downloaded that you'd like to use over and over without having to extract the package again and again? 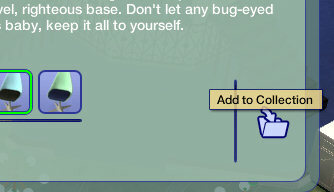 Here's how you can do it: install the lot you want to keep in the catalog, this places it into your teleport folder. Run the game and it will be installed into your LotCatalog folder. Without using the Lot, leave the game and go to your LotCatalog folder and sort by date. Find the package with the date/time that matches the lot you just installed and right-click it and mark it Read Only. Now when you return to the game and use this lot, a copy will remain in the catalog because the game can't delete Read Only files. Tired of your sims avoiding walking on the roads of your mini villages and shopping centers? If you've unlocked the extra floor tiles in your game, use the crosswalk floor tile and they WILL walk across anywhere that leads them to in their route. No more annoying walking clear to the other end of the lot just to stay on the sidewalk! 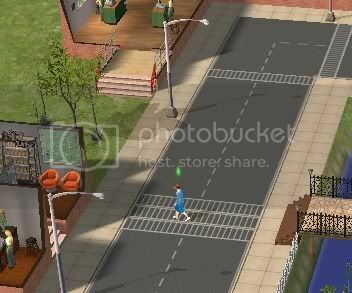 If you haven't got road and crosswalk floors unlocked in your game (showing in the catalogue) open a file called floorPatterns.txt which is located in your C:\Program Files\EA GAMES\The Sims 2\TSData\Res\Catalog\Scripts folder and locate the road and crosswalk floors. Put a # in front of every instance of "notInCatalog" so it says #notInCatalog and then save the txt file and run the game and look for your crosswalk floors under All (infinity symbol.) Note they have directions and endcaps that blend into the side of the road or parkinglot. Once you've got one built right your simmies will gladly use it to cross any roads or parking lots. You know how you do the CTRL+[4-9] to save the viewpoints? Well did you ever wish you could have a few more saved? You can! Hit your TAB key and go into "freestyle" mode and you get six more to save with or without F10 controls showing or whatever you want! Want to take screenshots without the grid showing on a property nobody lives on? 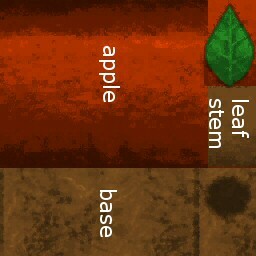 into build mode to the terrain tool and deal with it showing or other methods you may have heard of. You can still use F10 to remove the player interface too. Don't want a big tall bookcase taking up valuable screen room and blocking your view? Get a book off the bookcase and while your sims has it, direct them to do something else. If they put the book down on the table or floor, you can delete the bookcase and then you'll just have the book all the time instead! If your sims are too neat to leave it out, try putting the bookcase somewhere they can't return the book to so you can get it down on a surface before you delete the bookcase. Chances are if you know how to place a driveway and suddenly can't, you've accidentally left MOVEOBJECTS cheat ON. Turn it back off and the driveway will go down for you. Collections are great for organizing your downloads into groups of similar things. To make your own custom collections, when you're in Buy Mode and an object is selected, you'll see a folder to the right and you just click that to add any object to a collection. Next you will be asked which collection to add the object to. Here is your chance to make your own. Create New Collection (little folder with plus sign on it) is seen here on the left and to delete a collection you no longer want, there's a button on the right depicting a little trash can. It's very easy to make your own custom neighborhood pics to choose your neighborhood from, and quite satisfying too as they're a nice improvement over the default ones you get. 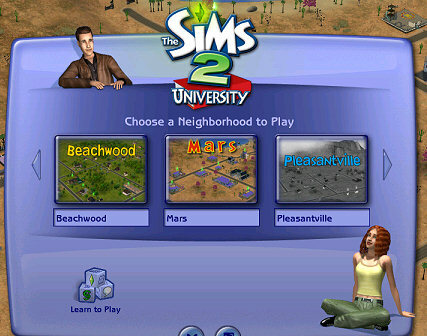 This is the UNI method, I can't remember if the location of the neighborhood pic was different in the basic game or not, but if you look around for it, now that you know the name of it, shouldn't be too hard. 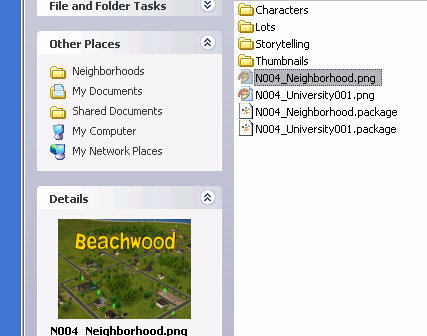 And locate the pic file: N004_Neighborhood.png and make it anything you want. You can also customize the UNI pic shown for this hood as well. I'm sure this will continue for any EP. BETTER templates than this... I just hope they share them! Help in English seems to be needed for this. I know I needed it, so when I figured it out I thought I'd share it in case I wasn't alone. Get elevator on Shaklin's Sims 2 page HERE. In picture one (click to enlarge) you can see I've pointed the green placement arrow towards the back away from the door into the 2x2 square that will serve as my elevator shaft. 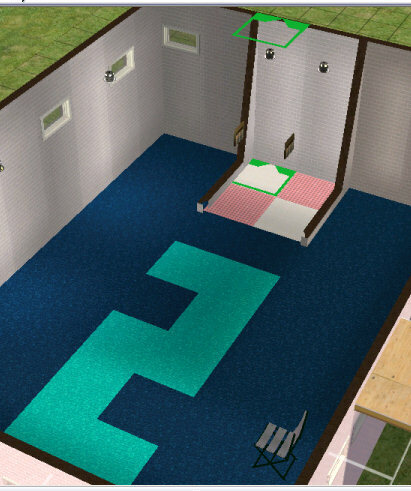 This will take a sim up one floor as long as you remember the door on both floors. In picture 2 you can see how things look in multiple floor elevators (buildings with more than 2 stories) the control you can see on the right is for floors 1-2 and the one on the left is for 2-3. The control that got sims to this floor is on the right but to go up another floor you place one, again with the placement arrow pointing to the back of the elevator shaft, on the left side. Now in picture 3 you can see just the top of the 2nd floor's control because I stopped at 3 but it alternates like that back and forth in multiple story buildings and the top and bottom can just be the one each because they're the end of the line. So all I've done is built the 2x2 box and put the doors and flooring in and then just place the controllers making sure to point to the back and alternate back and forth on multiple story buildings. Sims2 doesn't have "use stairs" in the code so to test your elevator, click GO HERE on another floor and that'll get them to either use it or drop it from the queue because something is not right. If you keep having it drop from the queue let me know as that means something is still confusing. I am not saying this is the ONLY way to do this but it's how I do it and it works for me. Not that you HAVE to build the 2x2 box anyways, you could just build a 2 story building and put your floors in and then go to the first floor and put in one elevator controller and ask a sim to GO HERE upstairs and it'll work. All the 2x2 box and doors, etc. are really so in multiple story buildings you have an elevator shaft that looks realistic and it also helps line up the look of it from floor to floor so you can go back and forth easily. Please use the contact link in the menu above to let me know if this worked for you or if I should explain it better because it didn't work. If I can do anything to make it easier to understand, just let me know! folder so that it takes precedence over the original until you delete it. If you've placed a UserStartup.cheat file into your My Documents config folder and your cheat shortcuts aren't working in your CTRL+SHFT+C command box, you may have accidentally put a .txt or .doc extension onto the cheat file when resaving it. To avoid doing so in the future, save it as filename "userStartup.cheat" WITH THE QUOTES and that will avoid it adding the editor specific extension to the file name. So in a case like that you wouldn't really see the actual file extension at all, but as I can see the other file's extensions as well as the .cheat one in this example, I know that my folder is set right. Can you see your .ini and .xml file extensions in your Config folder? If you can't, it's best to turn them on to avoid future confusion. Just go into File Manager's TOOLS menu and then into Folder Options to change it. I ALWAYS keep file extensions turned ON because the added "clean" look you get when turning them off is simply not worth the occasional bad confusion that ensues when you can't see them... especially in the case of files with multiple dots in the name, which personally I don't see why that was even implimented. To view my personal UserStartup.cheat file, click here. To download it and use it in your My Documents\Config folder, simply right-clicks SAVE TARGET AS or SAVE LINK AS or however your browser words it, to get a copy on your computer.